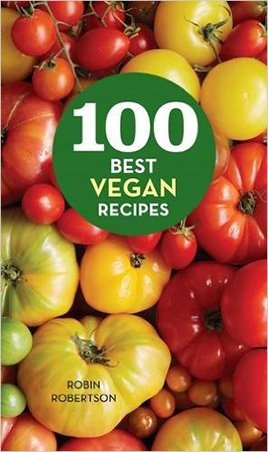 I’m excited to participate in the blog tour for Vegan-Ease, the new cookbook by Laura Theodore, aka The Jazzy Vegetarian. In this book, “ease” is the operative word. In addition to being easy to prepare using easy-to-find ingredients, each recipe also includes an “Ease-Factor” ranking from 1 to 3 to make meal-planning a breeze. 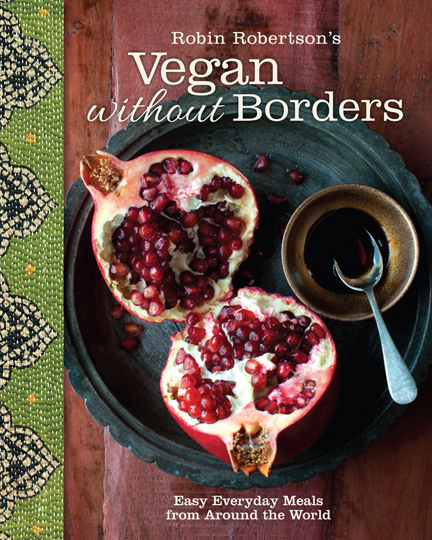 The book also features a selection of menus to help put it all together. 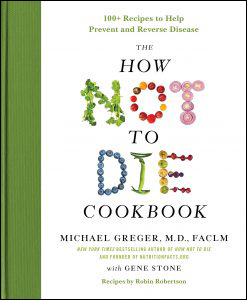 The recipes include everything from delicious sides like Roasted Baby Artichokes, and baked delights such as Lemony Cornmeal and Cranberry Muffins, to main dishes such as Vegetable Quesadilla Bake, and a temping array of desserts, salads, and soups including Roasted Cauliflower and Green Pea Soup. 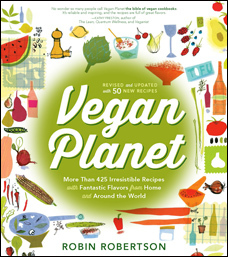 Laura has graciously allowed me to share with you a recipe from the breakfast section of the book for Spinach-Tomato Vegan Omelet. PLUS!! 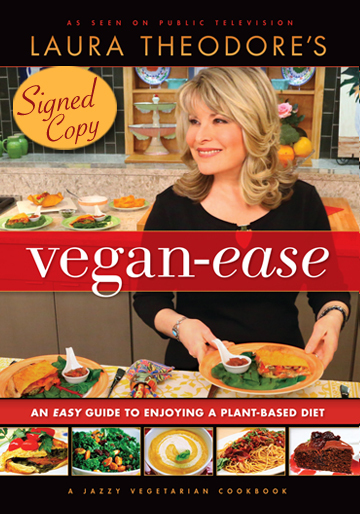 she has also allowed me to offer a copy of Vegan-Ease to one lucky winner. 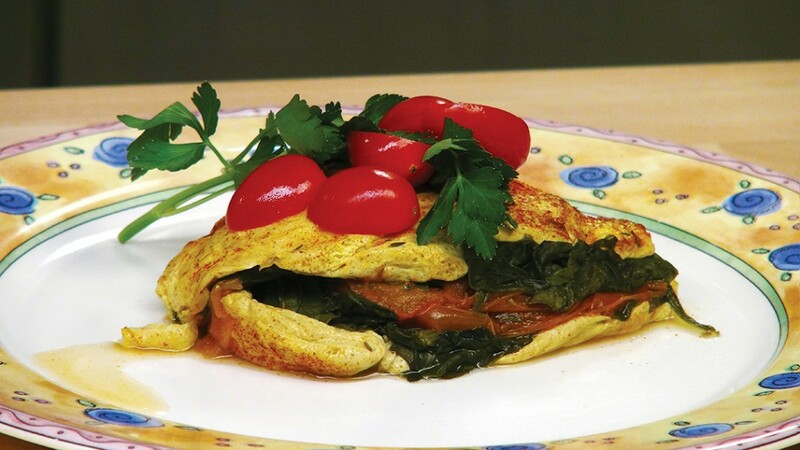 Now here’s that yummy omelet recipe….. Arrange the tomatoes in the prepared skillet by overlapping them slightly. Sprinkle the thyme, 1/4 teaspoon salt and several grinds of black pepper evenly over the top of the tomatoes. Top the tomato layer with all of the baby spinach, pressing it down slightly. Put all of the tofu “egg” layer ingredients in a blender and process until smooth. Spread the tofu mixture evenly over the spinach, smoothing the top as you go. Dust the top of the tofu layer with the additional 1/4 teaspoon smoked paprika. Cover tightly and bake for 45 minutes. Put the pan on a wire rack and let cool for 5 minutes. My favorite easy meal is tofu scramble or migas. You can do so many things with it, from burrito wraps to a lovely dish with home fries. Thanks for the chance. Stir-fry veggies over brown rice. Basil/parsley pesto served on shirataki noodles. Only have to blend the pesto in the food processor, and supper is ready in 2 mins! My favorite easy meal is beans and rice. I especially like using kidney or pinto beans and then using bell peppers, onions, garlic and either Cajun spices or Spanish spices. Yum! 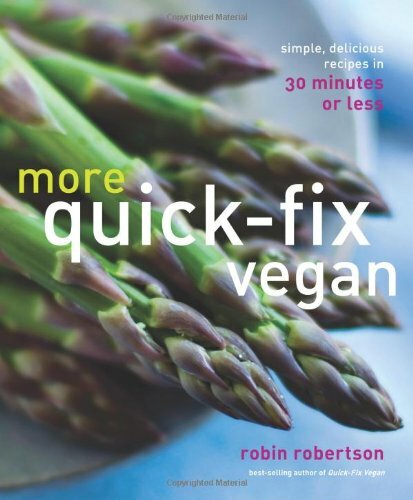 I am newly vegan, so Im not very experienced. My go to recipe right now, is cashew cream over a baked potato. I will switch it up by adding brocvoli & cauliflower, baconut, or chili. Protein lentil pasta with marinara and some homemade frozen carrot top pesto with nutritional yeast. Pasta (whole wheat) is always good for a quick and easy meal. Add a good jarred sauce, some beans and a little extra seasoning and all that’s left is to open some pre-washed salad greens. Voila, supper! My favorite easy meal is pasta with greens, cherry tomatoes, and beans — and lots of garlic and nooch. Tofu Scramble can come together pretty quickly for me when time is tight….! Diamond Black (Personal Computers) I leaned towards this particular model because of the longer battery life, the number pad (the little things are sometimes the most imtrtoanp!) and the Blu-ray Disc Combo Drive. I have had it almost a month now and it has performed admirably. It boots quickly, processes video and complex programs and operations quickly, and seems to handle whatever I ask it to do. The larger touchpad is nice, not overly or under sensitive. My favorite easy meal is pasta and red sauce. Super simple and filling! Sprinkling a little nutritional yeast on top at the end makes it perfect! My favorite quick vegan meal is garlic pasta. I’ve been vegetarian for 20 years this month. That recipe came from the very first vegan cookbook I bought 20 years ago. Now it’s a quick and tasty staple in our house! I think I will make it his for Christmas morning. Looks delicious. My favorite easy meal is a big salad with anything and everything from the fridge thrown in! My favorite easy meal is probably veggie stir fry served over rice. My favorite easy meal is spaghetti squash cooked in the microwave with a jar of sauce heated on the stove. Doesn’t get much easier. My favorite easy meal is Hummus on Toast with tomato slices, salt, and pepper … For breakfast, lunch or dinner! When I have no time, I usually stir fry some veggies, throw in a can of chick peas and serve it over rice or pasta. 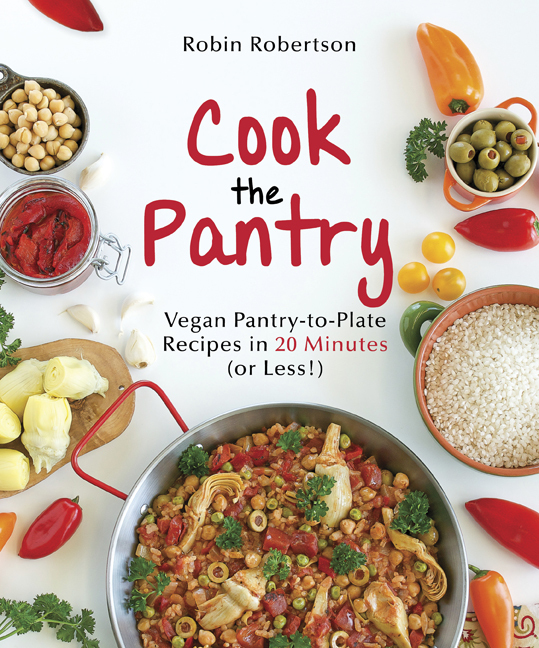 My favorite easy recipe is actually from your Vegetarian Slow Cooker book! It’s the Easy Chili Recipe made with beans, salsa, bbq/or ketchup, water, and chili powder/or taco seasoning! Everyone loves it! Thank you for the great recipes! Thank you for this recipe. 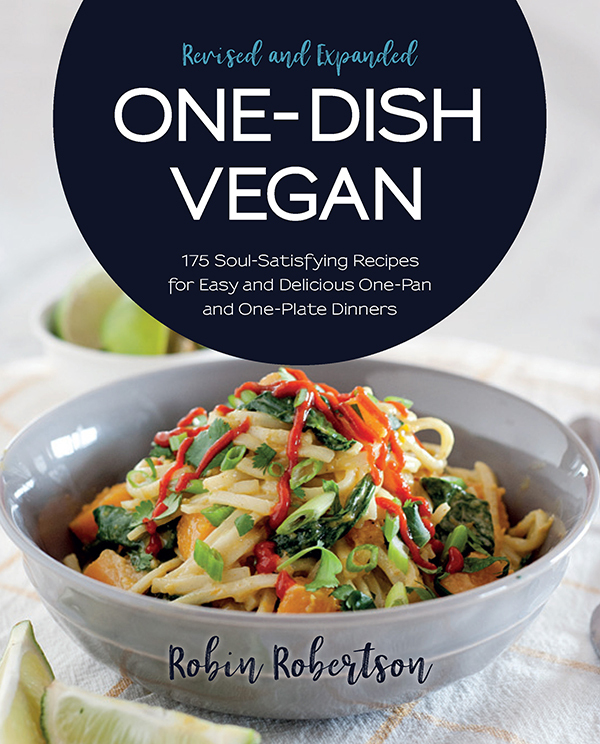 It looks delicious and doable for someone new to tofu “egg” dishes. My current favorite easy meal is flatbread pizzas. On a 8.5″ fat free lavash (Sami’s Bakery), we spread thinly sliced tomatoes, leftover marinara, sliced Kalamatra olives, chopped sundried tomatoes, onion broccoli flowerets & stem slices, herbs, etc. My husband adds a bit of mozzarella. Bake for 15 minat 450 and enjoy. I love simple roasted winter vegetables over rice! I have two favorite easy meals. 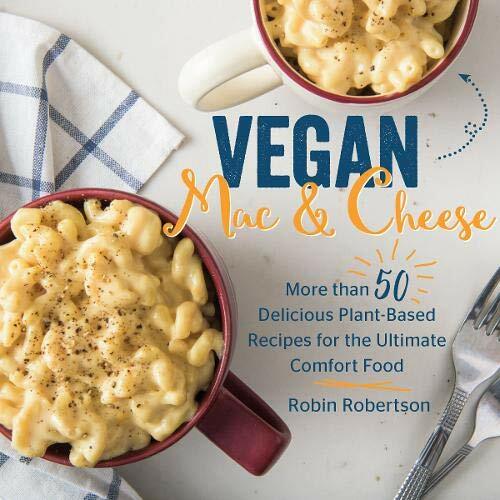 One is Black Bean Sweet Potato Casserole from your Fresh from the Vegan Slow Cooker book and the other is any tofu scramble recipe as they are so versatile. 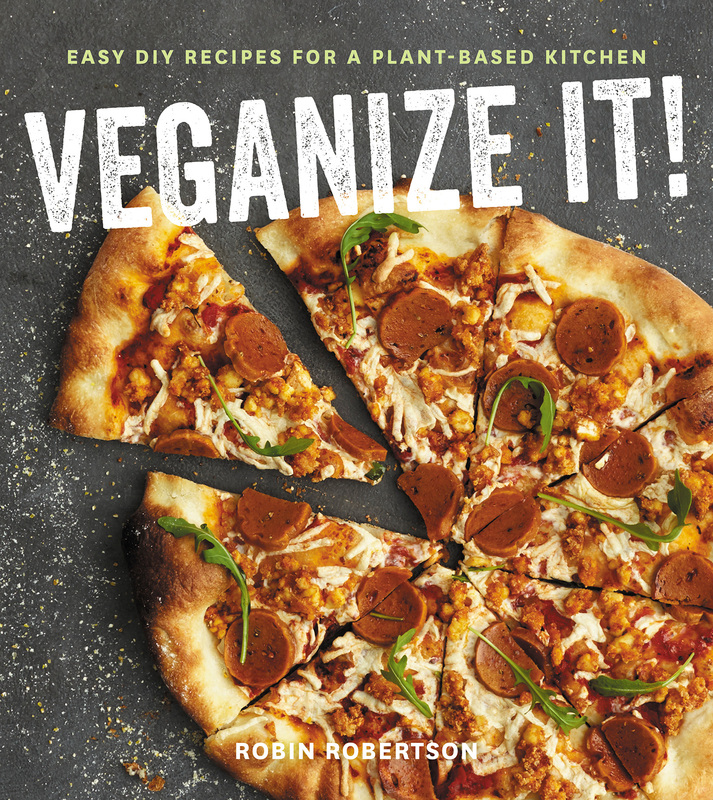 I love Jazzy Vegetarian recipes and would love her new cookbook! Pasta with tomatoes and veggies is always fast and filling. Like bean dishes too with rice and salza. My favourite easy meal is chocolate nut butter sandwiches. My favorite easy meal is a burrito. I fill a large whole grain tortilla with whatever leftover beans, grains, and veggies I have. Thank you for omelet recipe. My “latest” favorite (always changing) – slices of avocado on toast. Delicious!! My favorite quick meal is smashed avocado with white beans on a nice grainy piece of toast. My favorite quick and easy meal would be scrambled tofu or veggie/tofu stir fry with rice noodles and my husband’s super yummy peanut sauce! My favorite easy meal is my mother-in-law’s Middle Eastern red lentil soup. Red lentils, veg broth, onions, salt, pepper, cumin and anise seed in the pressure cooker. Bam! Ready in 10 minutes. I love Minestrone Soup. It’s definitely a family favorite and a hearty meal. Quick Chile Mole from Happy Herbivore Abroad. My easy dinner is a stir fry. I always have cooked brown rice or cooked quinoa or potatoes around. I water-or broth-fry some fresh or frozen veggies, then add the cooked starch with some low-sodium soy sauce. Done! Any two-ingredient recipe is the ultimate easy meal. Two ingredient potato pancakes (eggs and roasted potatoes) are about as simple as you can get. My favorite easy meal is pasta with pesto! My favorite quick vegan meal is Instant Pot cooked potatoes (I try to keep on hand) topped with a cooked green (kale, spinach) w/ a homemade dressing like Jane’s 3-2-1 dressing. Hmm. There are so many easy vegan meals that are awesome. Right now, it’s a mac and cheese. But mushroom fajitas are a fave right now, too.